We manufacture Cross Cable Tray Accessories that is made with precision and attention to each and every detail. 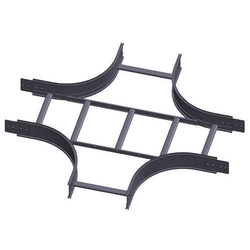 This Cross Cable Tray Accessories is also widely demanded in the markets and is rust free as well as easy to fit in. We are highly engaged in offering Cross Cable Tray to all patrons from commercial place. 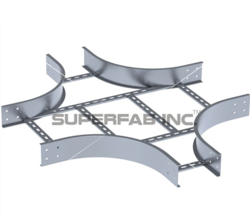 These trays are finely developed by the engineers who hold experienced in the relevant domain. These trays are available in market in many sizes. All trays are hard in frame and safe from the damage by all engineers. We are manufacturer and supplier of cross Cable tray. We offer Cross Cable Tray to our clients. We are offering Cross Ladder Cable Trays to our clients. We are offering Horizontal Cross FRP Perforated Cable Tray to our Client.